We’ve been cooking quinoa a lot the last 5 years and I still forget the recipe proportions sometimes so I am sharing them here! 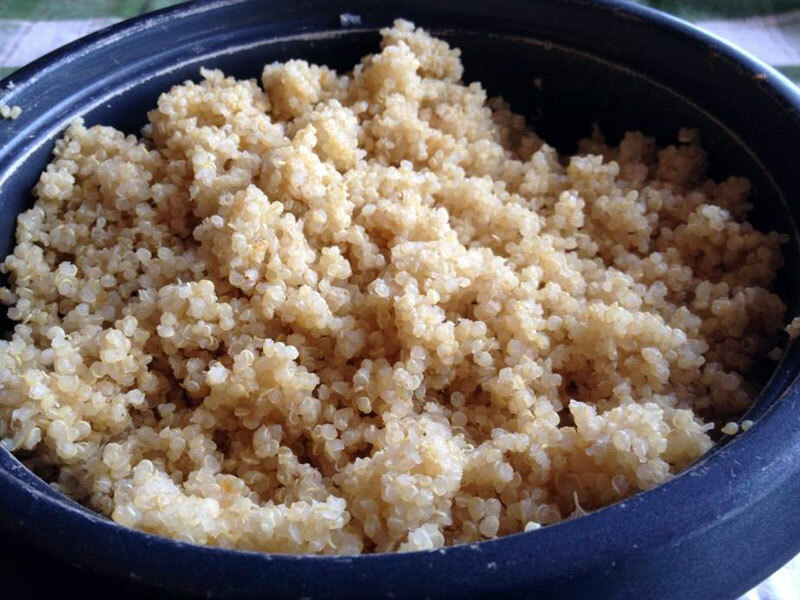 This is a basic recipe for boiled quinoa, similar to cooking rice. In fact I usually use my rice cooker, which I include an option for in the instructions. Quinoa is the seed of a plant originating in South America. It is more vegetable than cereal, as it is not a member of the true grass family. It is closely related to species such as beetroots, spinach and tumbleweeds. Quinoa has become very popular in the last few years because it is high in protein (and is a complete protein), and lacks gluten. 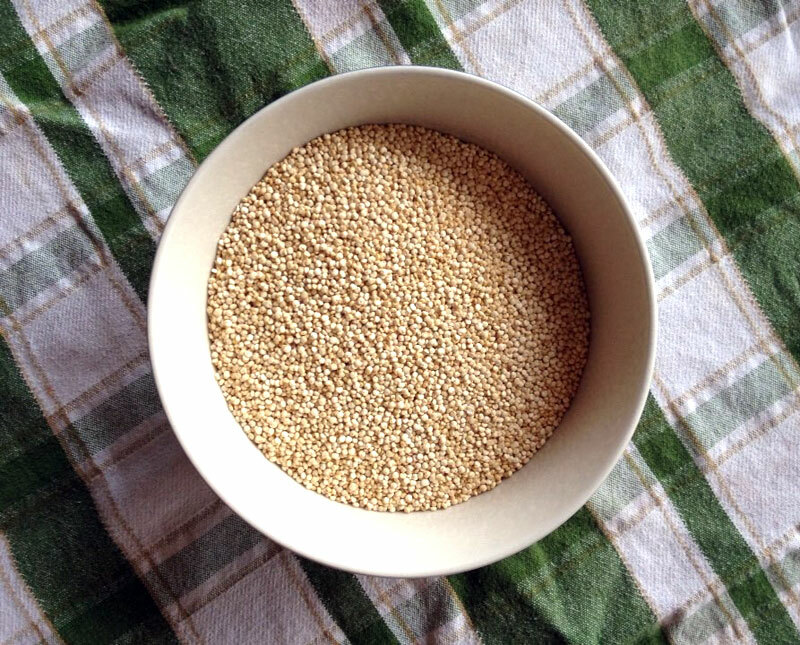 Soak the quinoa for 15 minutes – 1/2 hour in its cooking pot. If you don’t have enough time then soak for 5 minutes in hot water and rinse one or two more times. Strain the quinoa with a fine sieve and put back in the pot. Rinse a few more times until the water is clear. Drain well and place the quinoa in the pot. Add water and salt. * You can substitute broth for the water, in which case you can omit the salt. You can also add dill, chopped garlic or another seasoning of your choice. Bring to a boil, cover with a tight fitting lid and turn the heat down to simmer. (approximately 4 on a 10-point dial). Remove from heat and allow to sit for 5 minutes with the lid on. Fluff gently with a fork and serve or use in your favourite recipe. *Optional: try toasting or sautéeing the rinsed quinoa before adding liquid to cook. This will add a nutty flavour and can cut down on bitter taste. 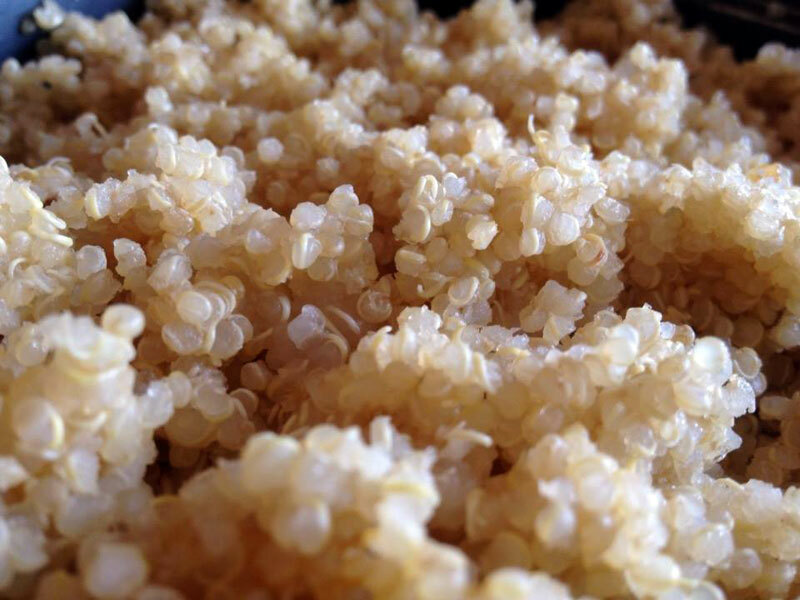 Quinoa has a coating called saponin which has a bitter taste. 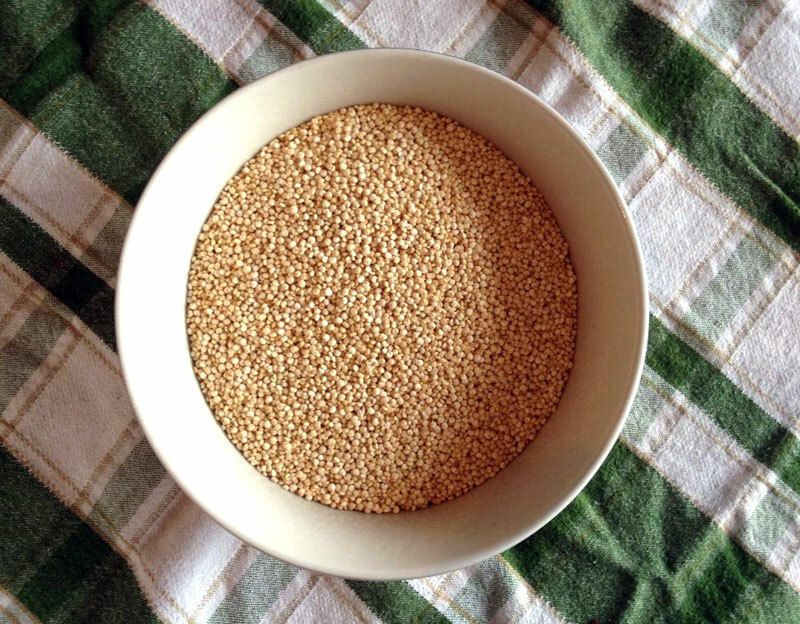 That is why the recipe calls for soaking and rinsing the quinoa before cooking – to help remove the saponins and take away the bitter taste. I have also cooked quinoa without rinsing when in a pinch or when I forget and I don’t mind the flavour. If it doesn’t bother you then you can omit the rinsing step and add 1/4 cup more water. Follow steps 1-3 above, using the rice cooker as your pot. Put the lid on turn on your rice cooker. When it clicks off continue with steps 6 and 7. Our favourite is to use quinoa as a bed for salad. A scoop of quinoa, pile on some spinach or other greens, add dice bell peppers, tomatoes, feta cheese, fresh herbs like basil and a vinaigrette dressing. Another great variation in the winter is quinoa, spinach (or kale, massaged to soften it and torn into small pieces), feta or goat cheese, slivered toasted almonds, diced dried apricots and an orange juice lemon olive oil dressing. Add fresh herbs if you like. Top either salad variation with a salmon fillet, grilled steak or chicken. Thanks for disclosing how to remove the bitter taste! Now I just need a great tasting quinoa recipe. Glad you found it useful Sophie! I added a couple of our favourite quinoa salad recipes above.